It was at the 1998 Sub-junior National Aquatic Championship in Ludhiana when swimmer Rehan Poncha caught the attention of the swimming fraternity. He was only 12 when he grabbed the headlines by winning almost every medal in the offing. 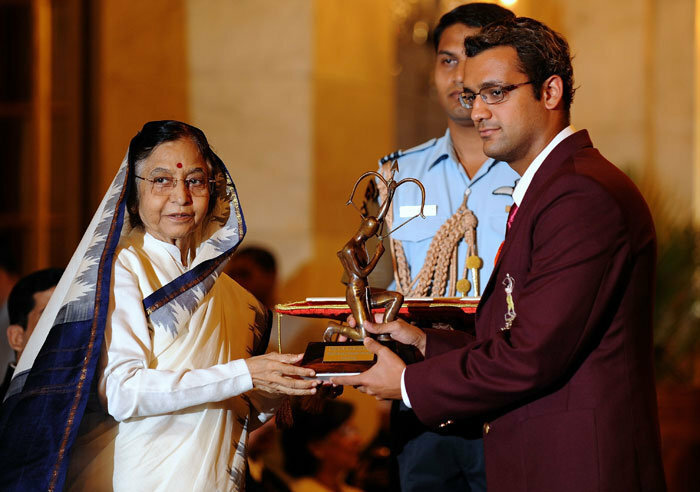 He was representing Maharashtra then and he had become the envy of every swimmer and coach from other states. Thirteen years on and not much has changed, of course apart from the fact that he is an Olympian now and owns every title in the national circuit and has won over 35 medals for the country at the Asian level. What has not changed is his zest to win, his hunger to get better and faster. Almost two decades since he took to the pool, Rehan continues to have the drive to grab the headlines just like he did when he was 12. This kind of dedication does not come easy. Imagine waking up at 5 am every morning for a grilling session that lasts three hours. The grind leaves you with little energy to do anything during the better part of the day and just when you are regaining your energy you need to return to the pool for the evening session which starts around 5pm and goes on to about 8-8:30pm. This pretty much has been Rehan Poncha’s life for the past 15 years. For over 15 years you have had the same routine every single day. Have you never felt frustrated? Rehan: It is frustrating because we don’t get anything in return. We may get an occasional sponsorship deal but there is no commercial benefit as such. Despite all that, to stay focused depends a lot on how you are. I could have moved on and done something else but the fact that I know I am not as good as I can be is what keeps me going. I always set a target and this time it’s to qualify for the Olympics. Your parents have always supported your career in swimming but what about your extended family? Do they ever tell you to move on and do something else in life? Rehan: I am very close to my extended family and all of them have been asking me to qualify soon so that we can have our next family holiday in London. This is how supportive they are. The only time they get a bit upset is when I miss family holidays because of my swimming. This time I missed my brother’s wedding because I was swimming the senior nationals but apart from times like these, everyone has always been encouraging. When I moved from Mumbai to Bangalore to pursue swimming everyone was a bit sad but they understand. You qualified for the Beijing Olympics at almost the end of the qualifying season in 2008. Six months for the 2012 qualifiers to end, are you headed in the same direction as last time? I would love not to repeat Beijing Qualifiers. It is stressful to attempt qualification in the last meet. It adds to the pressure. This time I will be racing in qualifying meets in the end of February and March. I know I have done the qualifying times before and I know I can do it this time too. You clocked the qualifying time back in 2009 when the LZR suits were not banned. Do you think you can still do the same timing now? Rehan: The world over no one has been able to clock the same timings clocked before the ban on LZR suits. Those were very fast timings. I have nothing to lose. I already am an Olympian and there is pressure to qualify but the pressure is far lesser than before. I had missed out on the Athens Olympics and I badly wanted to qualify for Beijing and I did it. I have achieved everything I need to and I have nothing to prove to anybody. But at the same time, I am as hungry as I was before. I believe that if I could qualify at the age of 21, I can qualify at the age of 25. Would age be a barrier? 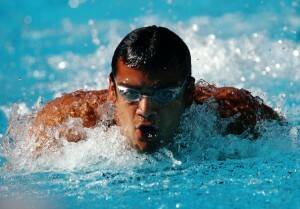 Rehan: The world’s best swimmers, Michael Phelps (25) and Ryan Lochte (26), are in their mid 20s. Abroad, people start at this age. Youngsters are taking over, no doubt, but 24-25 is the age when most swimmers peak. All your life you have been used to winning but this year you lost out to Aaron D’Souza in your pet event 200 metres metres butterfly. How hard was it to deal with defeat? Rehan: I was upset on race day. This was the first time I dropped the 200 metres Butterfly gold in the senior nationals. I’m chasing the goal of getting to No.1 again. I train with him everyday and I race with him regularly and I know what I need to work on. It is a healthy rivalry and I think the pressure is on him now because I don’t hold the fort anymore. The photoshoot you did for HiBlitz was appreciated by many and some even suggested you to take up modelling. Are you considering it as an alternative career option? Rehan: Yes, a lot of them loved my shoot with HiBlitz. I have done a shoot for another clothing line too. 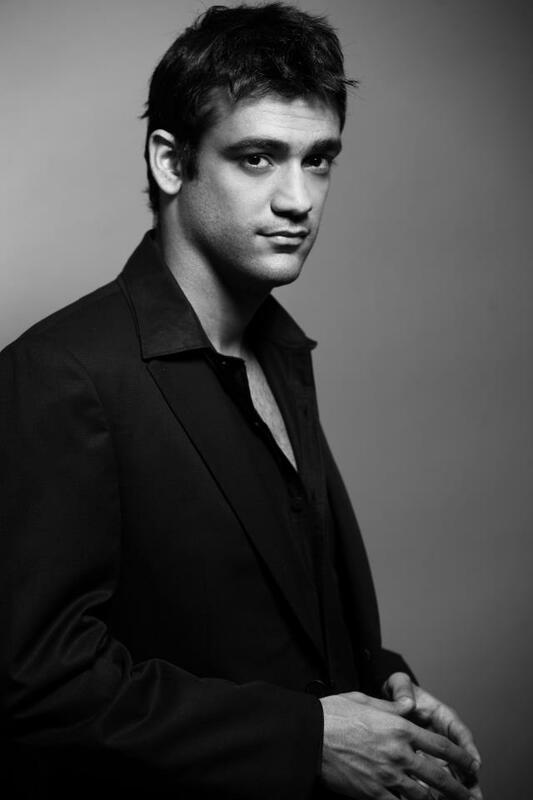 In fact, going by the pictures I’ve posted on Facebook I got a couple of calls from Mumbai to audition. Honestly, I love the photos too. But I am certainly not considering this at the moment because my focus is on qualifying for Olympics. Had I been training in Mumbai maybe I could have worked out something, but no, I am not considering it for now. Are you not going to take up acting, especially since your uncle Boman Irani is a well known Bollywood actor? Do you intend to stay in Bangalore and train for Olympic qualifiers or you plan to go abroad? Rehan: I think it would be stupid to go abroad and train now because the coaches will be shifting focus on their own swimmers and preparing them for the Olympics. I am going to train under Pradeep (Kumar) sir. I qualified for Beijing with Pradeep sir and this time too I am hopeful of doing the same.